Congress returns with a renewed focus on climate change and clean energy under the direction of a newly minted House Democratic majority. But with President Donald Trump still in control of the White House and a Republican majority in the Senate, prospects for major shifts in policy in the 116th Congress are slim. Even in the House where a crush of new progressive freshmen are pushing the party further to the left, climate and energy issues may take a backseat to oversight and Democrats’ broader goal of serving as a check on the administration. However, even if a divided 116th Congress is powerless to forge consensus on legislation, the refocusing of the public debate around energy and the environment is worth noting. Unrequited priorities tend to pop up in other, unrelated debates as amendments or poison pills, infrastructure for example. Longshot policy proposals can also form the foundations of future law. Look no further than criminal justice reform to see how, with enough time, a minority proposal can evolve into the majority consensus. Climate change policy certainly fits that bill. Drawing the most headlines is a proposal championed by newly elected New York Democrat Rep. Alexandria Ocasio-Cortez known as the “Green New Deal.” While heavy on slogans and government spending, however, the Ocasio-Cortez plan is light on policy, other than calling for decarbonizing the economy by 2030. The idea of putting a price on carbon has been around for more than a decade. The details have changes slightly depending on the political winds, but while it has yet to stick, it also hasn’t disappeared. Its very existence in the public discussion means it shouldn’t be dismissed, especially if the next election cycle brings a new wave of Democrats to Congress — or even the White House. Later this month, House Democrats, who are resuscitating the defunct special committee on climate change under the leadership of Florida Democrat Rep. Cathy Castor are likely to begin to attempt to put meat on the bones of Ocasio-Cortez’s proposal. Democrats are attempting to pull the national conversation back toward climate change amid the backdrop of America surpassing both Saudi Arabia and Russia to become the world’s largest oil and gas producer. And output is expected to continue to grow for years, providing abundant and affordable fossil energy to consumers at home and abroad, with all the economic and political benefits that entails, including a boost to manufacturing that will play well in states Trump won in 2016. It will be interesting to see whether the revived climate committee, which lacks legislative or subpoena powers, will play a constructive role in developing a consensus proposal or if it reverts to serving as a stage for media attention and aspirations of higher office, as it did under then-Chairman Ed Markey of Massachusetts. The bigger question for Rep. Ocasio-Cortez and her followers is whether they will support more centrist proposals to improve the energy sector’s environmental performance and the market-based development of cost-competitive renewables. Historically, this has not been the case for progressives, who have typically labeled conservative support for innovation and market-driving proposals as insufficient. That’s unfortunate as the core fundamentals that drove growth in the renewable energy sector in 2018 will persist. These included the declining cost of wind and solar, advances in battery storage technology and grid operators’ growing expertise and expanding toolset for integrating intermittent renewable power into the grid. Continued growth in cost-competitive renewables is a good bet regardless the fate of federal tax credits. The Trump administration has helped renewables developers with efforts to deregulate and streamline permitting, in addition to fossil fuels. 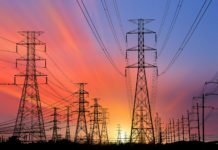 In February 2018, the Federal Energy Regulatory Commission finalized order 841, which requires grid operators to remove barriers hindering participation of electric storage resources in the capacity, energy and ancillary services markets. Much about energy policy in 2019 will be determined by the leadership changes of key energy panels in both chambers of Congress. 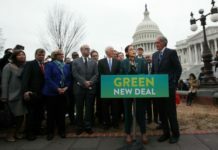 In the House, the Energy and Commerce Committee under the leadership of Rep. Frank Pallone of New Jersey, has already said the panel’s first hearing will focus on climate change. Chairman Pallone is also unlikely to give much time to the permitting reforms previously championed by Republicans. In the Senate, much has been made over the ascension of West Virginia Democrat Sen. Joe Manchin, a centrist from the nation’s second-largest coal-producing state, to serve as the top Democrat on the Senate Energy and Natural Resources Committee. Environmentalists worry the move signals a shift away from clean energy as Sen. Manchin replaces Washington Sen. Maria Cantwell, a longtime champion of clean energy. The Energy Committee’s chair, Sen. Lisa Murkowski, has long been an advocate for renewables, low-carbon nuclear energy, efficiency gains and other climate-friendly legislation, so the pair of fossil-fuel state senators may prove a good balance that can win over skeptics on both sides of the aisle to move legislation. At least parts of the bipartisan energy package Sen. Murkowski has attempted to push uphill the last two congresses could also stand a better chance with Democrats in control of the House. 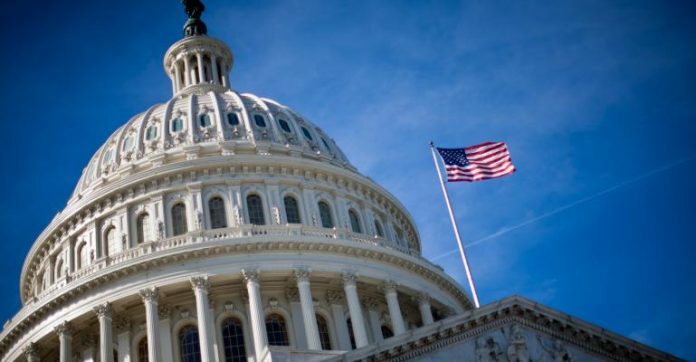 Another potential beneficiary of a divided Congress could be the Nuclear Energy Leadership Act, which would extend the length of federal power purchase agreements for public utilities. The bigger challenge for Republicans may be keeping President Trump’s energy dominance agenda on the rails under fire from Democrats. Administration officials could easily find themselves spending more time trudging up Independence Avenue to testify before House oversight committees than advancing the president’s agenda. Trump’s efforts to make more federal areas available to oil and gas exploration and reform the regulatory rulebook won’t end completely — it is his agencies that are in charge of the changes, after all — but they will face stronger headwinds. 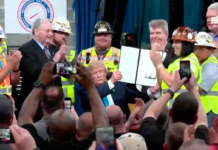 The administration is likely to focus on completing deregulatory initiatives and reforms already announced rather launching new efforts, that includes EPA’s new Affordable Clean Energy rule, fuel economy standards. It will also look to finalize a new offshore and onshore leasing programs.